The last week in MLB was about an infielder in the American League signing an extension, a team in the National League adding a reliever to their bullpen, and a third baseman making history. 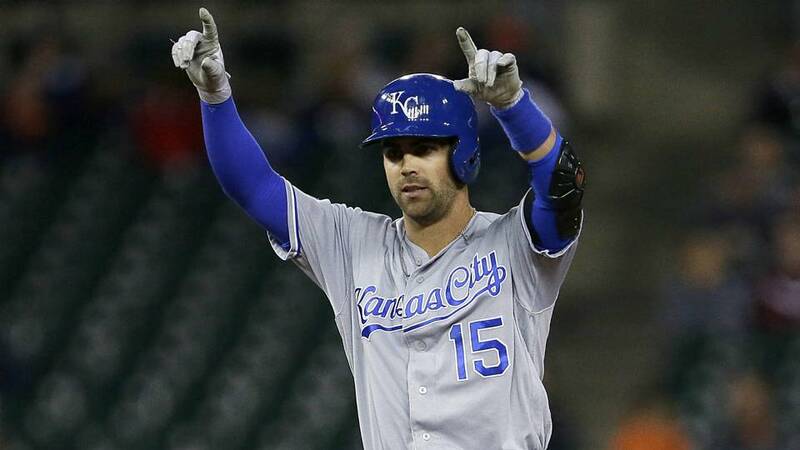 The Kansas City Royals have agreed to a four-year, $16.25 million contract extension with infielder Whit Merrifield. The deal includes a club option worth $10.25 million in 2023 with a $750,000 buyout. The contract also contains escalators worth $2 million based on plate appearances and awards per Jeffrey Flanagan of MLB.com. He will make $1 million, in 2019, $5 million in 2020, $6.75 million in 2021, and $2.75 million in 2022. Merrifield had a phenomenal 2018 campaign for the Royals as he compiled a .304 batting average and .806 OPS in 158 games with 43 doubles, three triples, 12 home runs and 60 RBIs. He also became only the third player since World War II joining Dee Gordon (2015) and Ichiro Suzuki (2001) to lead the majors in hits and stolen bases, as he tallied 192 hits and swiped 45 bases to pace all of baseball in both categories. He was the third player in franchise history to lead the majors in hits, joining Willie Wilson (1980) and George Brett (1976, ’79), and was the second Royal to lead the majors in steals, joining Wilson (1979). Merrifield’s primary position is second base as he started 107 games at the position in 2018. However, he proved to be extremely versatile, starting games at centerfield (27), designated hitter (10), right field (7), first base (5) and left field (1). He ended last season on a career-high 20-game hit streak, and since making his debut on May 18, 2016, his .293 career batting average ranks fourth in the American League, trailing just: Jose Altuve (.334), Mookie Betts (.313), and Jose Ramirez (.299). Merrifield’s 87 steals since his debut lead the AL, per Nick Kappel of Royal Rundown. This is an excellent deal for both the Royals and Merrifield. The Royals extension to lock up Merrifield takes care of his remaining arbitration years. The deal is a bargain, considering the type of production Merrifield has provided. Merrifield receives financial security with the extension. He could have declined the extension, gone through arbitration each year and waited until free agency to get a long-term deal. However, the critical thing to remember is Merrifield’s age as he just turned 30 years old several days ago. So, if he waited until he became a free agent at 33, it’s unlikely he would’ve secured a long-term deal at that age. Merrifield will be underpaid throughout this contract but making the most money wasn’t a driving factor for him. He loves playing for the Royals and team can start building a roster around him, as the extension allows the team to spend more money elsewhere smartly. The Arizona Diamondbacks have signed reliever Greg Holland to a one-year contract, per Robert Murray of The Athletic. The contract is worth $3.25 million, including $3.5 million in incentives on games and games finished, per Jon Heyman of MLB Network. Holland had a strange 2018 season as he posted a 7.92 ERA in 25 innings pitched (32 games) with 22 strikeouts, 22 walks, one home run yielded, a 4.56 FIP and a 2.24 WHIP wth the St. Louis Cardinals. The reliever was released by the Cardinals at the end of August and signed by the Washington Nationals several days later. He had better results with the Nationals as indicated by his 0.84 ERA in 21 1/3 innings pitched (24 games) with 25 strikeouts, 10 walks surrendered, one home run allowed, a 2.97 FIP and a 0.89 WHIP. A contributing factor for Holland struggling with the Cardinals is he didn’t go through spring training last year. He was signed by the Cardinals on the first day of the regular season. The other reason Holland didn’t perform adequately for the Cardinals is he spent time on the disabled list with a hip injury. The addition of Holland by the Diamondbacks was a smart move as he’ll probably occupy the set-up role for closer Archie Bradley. Holland should have a solid season with the Diamondbacks as he has the opportunity to go through spring training, and he might be dealt to a contender at the trade deadline, depending on how well he pitches and if the Diamondbacks are contending for a playoff spot. Colorado Rockies third baseman Nolan Arenado has agreed to one-year, $26 million contract with the team through arbitration. This is the highest amount a player has received going through arbitration, per Ken Rosenthal of The Athletic. Arenado’s one-year, $26M deal with the #Rockies is a record for a player through the arbitration process. The previous high was $23 million which Toronto Blue Jays third baseman Josh Donaldson earned in 2018, per Dan Gartland of Sports Illustrated. Arenado has been one of the best sluggers in the National League over the past several seasons as he’s led the league in home runs three of the last four years. He was superb for the Rockies in 2018 as he posted a .297 batting average and .935 OPS in 156 games with 104 runs scored, 175 hits, 38 doubles, 38 home runs, and 110 RBIs. The slugger has finished in the top-five of the NL MVP in each of the last three seasons. In addition to Arenado handling the bat exceptionally well, he’s an elite defender at third base. He has won the NL Gold Glove Award at third base in each of his first six seasons. He will be a free agent at the end the season, and the Rockies will do their best to re-sign Arenado to a long-term deal. A baseline for the type of contract Arenado is seeking would be the type of deal free-agent third baseman Manny Machado signs.